This is such a delicate and pretty little pasta. 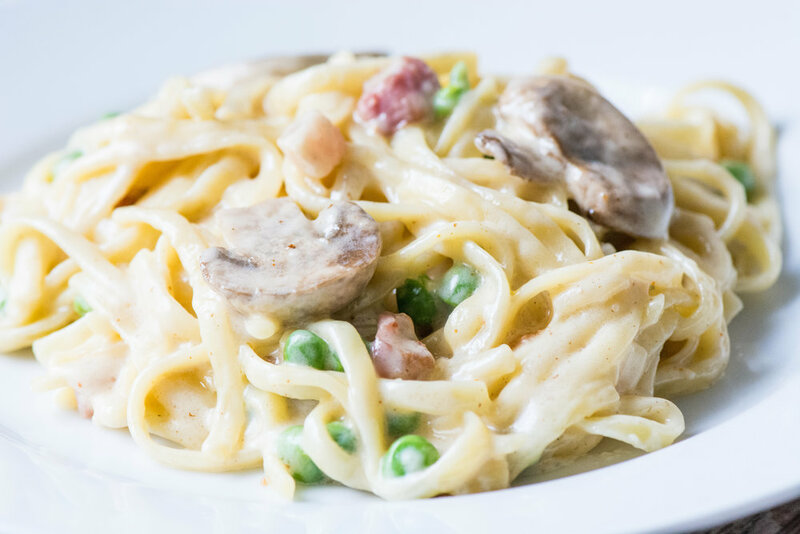 It's creamy and decadent, everything nice for pasta! It's so easy to put together for a light lunch or even make it a side dish.